Energy Technologies manufactures a wide variety of Power Conditioner and UPS products due to themodularity of the product line and the diverse requirements of our clients. A single chassis that is smaller than the individual Power Conditioner/UPS and Power Controller/PDU units separately, saving rack space. Reduced cabling expense - fewer cables and some shorter cables. User friendly interfaces via HTTP (built-in web pages), SNMP, and Telnet. Local / remote monitoring of loads and environment data. Local / remote control of individual outputs manually or via software algorithms. User defined automatic load sequencing on startup, shutdown and during power outages. User defined alarm thresholds and alarm action. Historical event logs including time and date stamps. Energy Technologies, Inc. manufactures a variety of Accessory Products tosupport the installation of or expand the capabilities of the various ETI main lineproducts. If you have a specific requirement, please contact us to discuss how we canprovide a highly reliable solution to your Accessory needs. Rugged Power Rugged Rackmount or Universal Mount External UPS Battery Chargers. 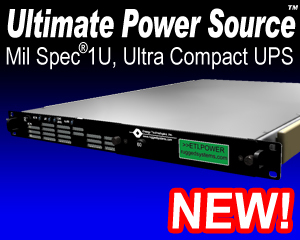 Rugged Power Rugged Rackmount or Internal UPS Battery Modules extend UPS backup times.